Ex-JPMorgan exec and Visa CEO Charlie Scharf is BNY Mellon’s surprise new boss. An accomplished outsider may initially please investors in a firm still lagging rivals despite a push from Nelson Peltz. But growing revenue from clients facing intense fee pressure will be tough. 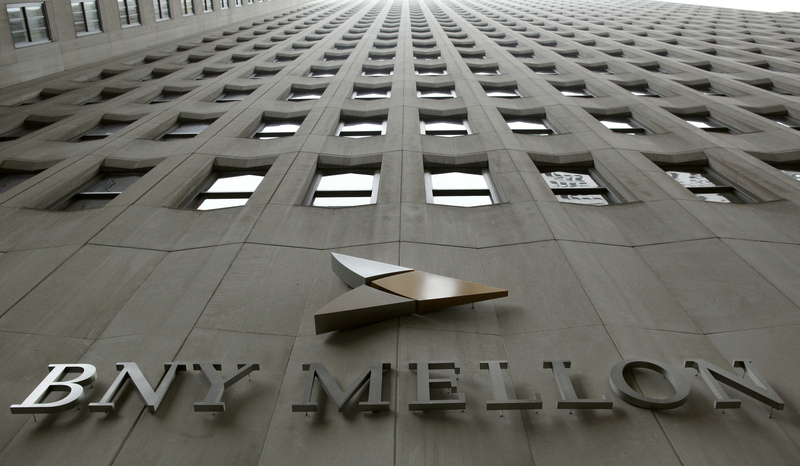 A BNY Mellon sign is seen on their headquarters in New York's financial district, January 19, 2011. Charles Scharf is to replace Gerald Hassell as chief executive of Bank of New York Mellon, effectively immediately, the company said on July 17. Hassell, 65, has served as CEO for six years and will remain as chairman until the end of the year, when he will cede the title to Scharf. He said the change was the culmination of a long-term succession-planning process. Scharf was chief executive of Visa for four years until he stepped down in December 2016. Before that he held a number of roles at JPMorgan, including chief executive of retail financial services. He also served as chief financial officer of Citigroup’s global corporate and investment bank. BNY Mellon shares were up nearly 2 percent at $53.375 in afternoon trading.